Film Sense LLC and Beneq Oy have successfully installed and tested the Film Sense FS-1 Multi-Wavelength Ellipsometer system on a Beneq TFS 200 ALD reactor. According to Pasi Meriläinen, Head of Equipment and Projects, Thin Film Equipment at Beneq, “the FS-1 exceeded our expectations for ease of installation, operation, and performance”. The FS-1 brings the power of in situ Multi-Wavelength ellipsometry to ALD at a very affordable price. The FS-1 ellipsometer can provide in situ, real time thickness data during the ALD process, with sub-nanometer thickness resolution. The in situ FS-1 data plotted below was acquired on a Beneq TFS 200 ALD reactor, and confirms the linear deposition rate of the Al2O3 film. 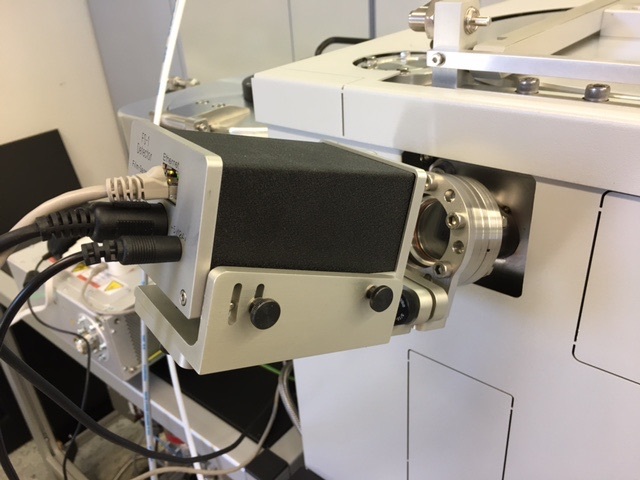 Real time thickness information is important for verifying the performance of existing ALD processes, and can significantly reduce the development time when exploring new ALD processes and precursor materials. 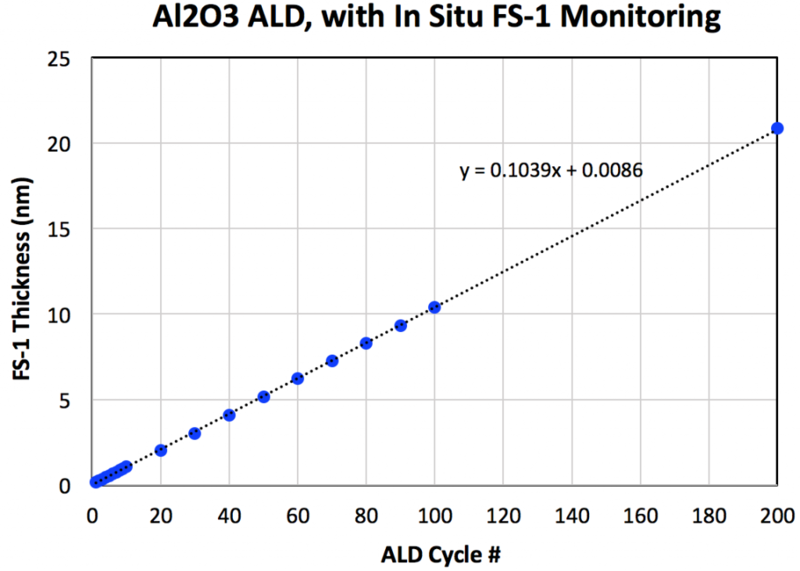 The in situ FS-1 data is especially valuable for characterizing the initial stages of growth, and can directly observe incubation time and other non-ideal ALD growth mode effects. The Film Sense FS-1 ellipsometer is an option for the Beneq TFS 200 ALD reactor. For more information about the Film Sense FS-1 ellipsometer please contact Dan Hadwiger. To learn more about Beneq TFS 200 contact service@beneq.com or visit the Beneq website.